Sign up for Broadjam today to follow The Dang-Its, and be notified when they upload new stuff or update their news! 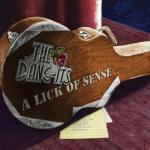 The Dang-Its play Americana, including a multitude of roots-oriented styles: Honky tonk, bluegrass,Western Swing, country swing and country blues, rockabilly, folk-rock, and alt-country. The band was named 2013 Country/Bluegrass Performer of the Year by the Madison Area Music Awards(The MAMAs) and its fourth recording, A Lick Of Sense, won the MAMA Country/Bluegrass Album of the Year in 2014. Jan. 13, 2014. Thanks to all who helped us win 2013 Country/Bluegrass Performer of the Year at last summer's MAMAs. We're honored and excited to have been invited to perform at the 2014 ceremonies on June 21.